noooo - I love big gums. Bad neighbours! 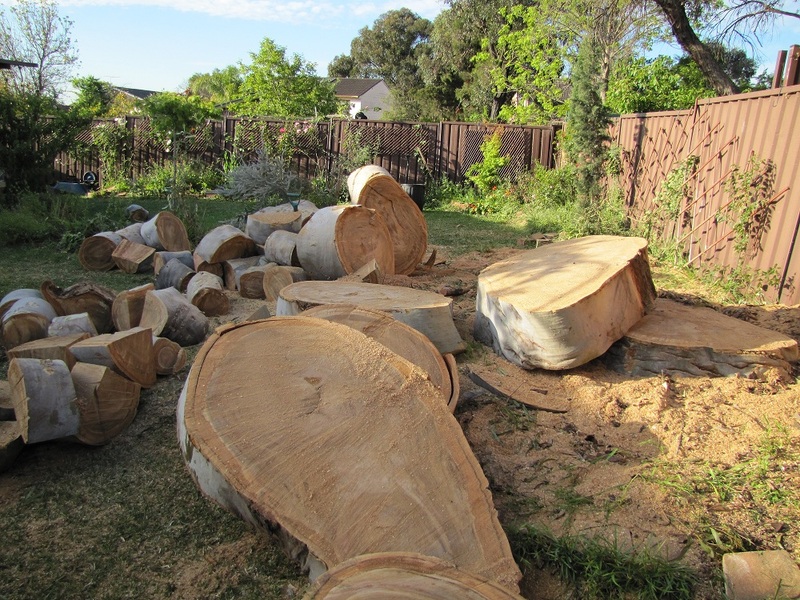 Do you know any wood turners to make you some momentos? I have at least 3 in my family - but we're all too far away from you. Are you planning on replacing it with something else lorikeet attracting (with lesser height an root system perhaps do the neighbours can't complain again. Did the neighbours build after the tree was already there and well established? So far I've seen this affect small farms, people with pet chickens, DPI cattle facility, vet schools - not mine yet but it'll happen too. I kept a chunk for posterity (and I have a ton of sweet-smelling sawdust). I've planted another grevillea and four Christmas Bushes. They won't grow nearly as tall, but they're bird-friendly. Both the tree and the neighbours pre-date me being here, but I'd say the house has been there five or so years and the tree much longer. They actually constructed their side-path over the root bole with a noticeable upward swing, so it's obvious which came first. It's so weird to have it gone. It seriously dominated the yard. As much as I love trees, your neighbours were right. 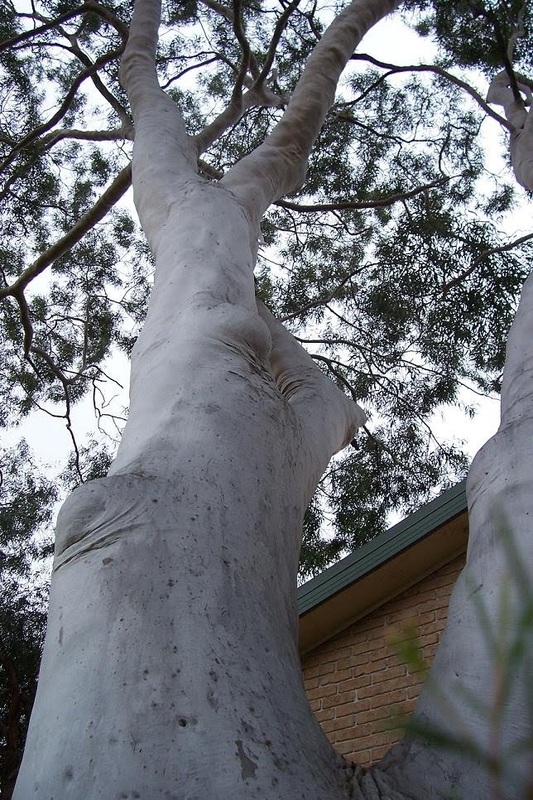 There was a big ghost gum two doors down from where we used to live in Melbourne. One day, on a still morning, the tree decided to shed one of its branches. It completely totalled a 4WD that had been parked underneath it in the driveway. Forget children, it could have taken out a couple of ADULTS! Trees like this are too dangerous and very flammable. They're beautiful, I know, I've always loved them, especially at dusk when they seem to glow, but it's just not worth the risk. PS Your blog doesn't seem to like Linux systems much either, regardless of the browser used. Yeah - the idea of falling branches meant I started feeling stressed whenever there was a strong wind. Not fun. My blog is very contrary. I spent all this time resetting widgets and clearing templates and whatnot to try and fix the post issue and it made no visible difference. I swear Google has done it deliberately to force people to use Chrome. Big thanks. This is really an excellent blog as well as its content.